The largest UK owned Records Management company. We store and manage all of your business-critical documents, back-up tapes and heritage items, with a range of online management and retrieval options. Digital transformation solutions and streamlined workflows, data and document scanning with cloud-based EDM systems. At Restore Digital we ensure security and compliance with the highest industry standards. We are one of the leading providers of document destruction in the United Kingdom, with 12 secure shredding centres across the country, providing scale, efficiency and unrivalled value to our customers. As the market leader in commercial relocation, we specialize in creating effective workspaces, as well as business and technology moves and storage for all sectors, focusing on customer led approaches. The complete set of services for your information technology assets. From installation to relocation, resale and recycling, Restore Technology can optimise and manage the entire journey of your hardware. GDPR compliance regulations will be in effect before we know it, and though most businesses are aware of the law and what it requires, only 10% of people polled in a recent Restore survey say they have sufficient measures for handling paper records. 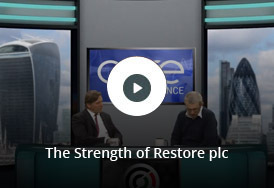 Welcome to the Restore group of companies. Our five businesses complement each other perfectly in the range and depth of office services we provide for our customers, which is one of the reasons why we are the largest UK-owned business of its kind. We understand what it takes for UK offices to work well and we understand our customers – managers who are responsible for keeping their offices running smoothly and compliantly. At the heart of our success, though, are our people. 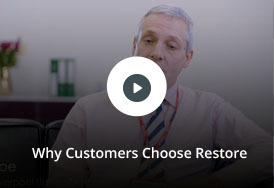 By choosing a Restore group company – whether for complete records management and confidential disposal or business process outsourcing, for relocation or IT recycling services – you can be sure you will be made to feel like you’re their only customer. Nimble, responsive, quick to make decisions and all at keen prices. Why not find out more?